"... there were a lot of good UFO reports coming in from Korea. 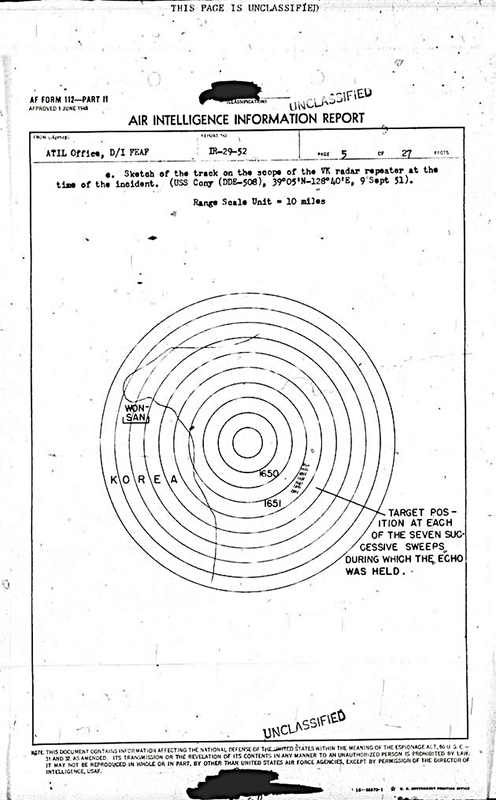 Fighter pilots reported seeing silver-colored spheres or disks on several occasions, and radar tracked unidentified targets ..."
tracked unidentified targets." Capt. Edward J. Ruppelt, head of the US Air Force Project Blue Book 1951-1953. During his tour in the Far East, Mr. Wallace Bush, Electronics Engineer, Classified Reconnaissance Branch, Director of Intelligence, Headquarters, Far East Air Forces, had collected information on UFO radar incidents, re-interviewed witnesses, produced updated Air Intelligence Information Reports on some cases, kept records of meetings in which UFOs were discussed, and evaluated UFO radar reports. He turned the collected information over to Air Technical Intelligence Liaison Office, Far East Air Force. Captain Charles Malven compiled the information into Intelligence Report 29-52 sent to both the Air Technical Intelligence Center at Wright-Patterson Air Force Base and the Director of Intelligence, Headquarters, US Air Force. In this report Project 1947 discusses the activity of the Air Technical Intelligence Liaison Office and the 6004th Air Intelligence Service Squadron in UFO investigations during the Korean War. 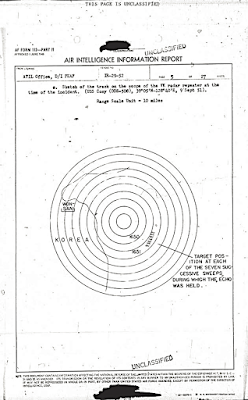 Background on some of the 13 incidents discussed in the 11 July 1952 IR 29-52, are quoted from Dr. J. Allen Hynek’s The UFO Experience, Martin Shough’s RADCAT, and Phillip Robertson, Independent Aerial Phenomena Research. 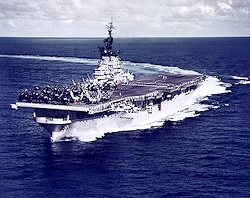 The late Larry Fawcett had located a retired Naval Commander who served in the Combat Control Center on the USS Philippine Sea during the February 2, 1952 UFO incident and Dr. Hynek had a set of Naval intelligence documents on the incident which are not in the Project Blue Book files which he used in his presentation on the incident. Some other Air Force, Navy, and Marine radar reports case files for incident discussed in IR 29-52 accompany the article.